Stop into Fresh Mix for personalized salads and wraps. 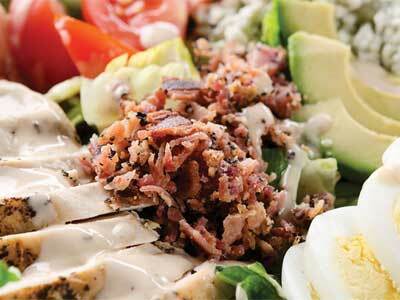 For just $10.99 you can build-your-own salad or wrap that includes 5 ingredients and greens. Warm protein choices include BBQ chicken, carne asada, flank steak and grilled chicken; cold choices are turkey, tofu, shrimp and tuna. Greens include kale, romaine, spinach, baby greens and California blend; if you rather have a wrap there are 4 combinations from which to choose. If too many choices stress you out, just choose one of the 6 deluxe creations offered daily! This is a healthy option for lunch or dinner, especially if you have been overindulging while in Vegas! Gluten free options are available.